You’ll feel better after a good nights sleep. I have been trying hard to blog twice a week, and sometimes it is difficult to find the time. As I sit here tonight I was contemplating ‘to blog or not to blog’ when I remembered this quote I had found on sleep. Mood is lower after even one night of sleep deprivation. Moreover, brief experimental sleep restriction induces bodily changes that mimic some aspects of depression. It’s important to ponder the consequences of sleep deprivation now happening on a mass scale: more than 40 percent of Americans between the ages of thirteen and sixty-four say they rarely or never get a good night’s sleep on weeknights, and a third of young adults probably have long periods of at least partial sleep deprivation on an ongoing basis. Over the last century average nightly sleep duration has fallen. 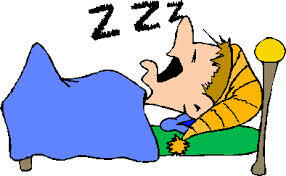 In 1910 Americans slept an average of approximately nine hours; that average had dropped to seven hours by 2002. Part of the answer to the riddle of low mood, then, lies in contemporary routines that increasingly feature less light, less rest, and more activities that are out of kilter with the body’s natural rhythm. How often have you heard the phrase “You’ll feel better after a good nights sleep” ? It seems that research is now showing that there is actually a lot of truth in it. As parents, we need to be encouraging our kids to have good sleep habits and as adults many of us need to be putting ourselves to bed earlier! Our whole sense of well-being is effected by our sleep. I realise that on this blog I have not written the how to any of this but just showing the facts of the importance of sleep – but I really need to stop and go get a good nights sleep! Wow, I really liked this blob!